The BAFTA Awards began in 1947. 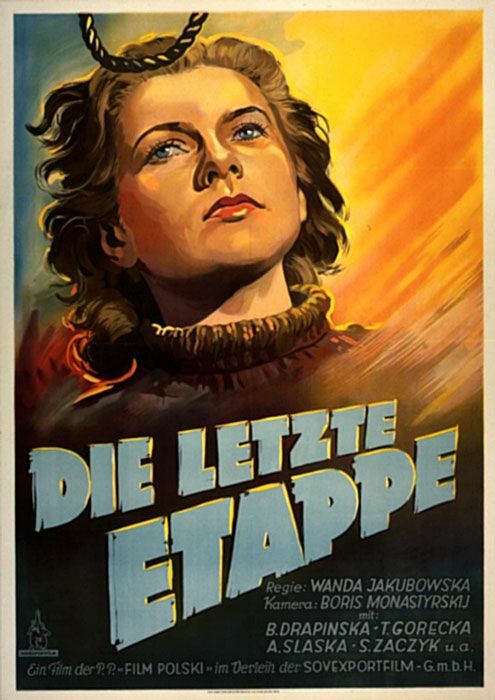 In 1949 BAFTA gave this foreign film a Best Picture Award …. The Golden Globes began in 1943. In 1948 they began to award foreign films but it was the UK, English language film, Hamlet that won. 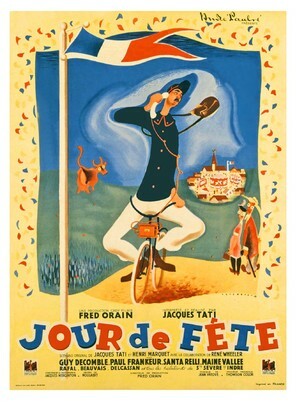 This foreign language film won an award at the 1948 Venice Film Festival …. Wikipedia lists Mukesh as the singer here. 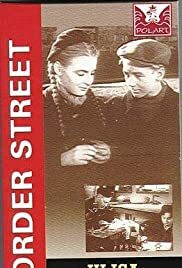 Border Street - A handful of Polish and Jewish families live in the same neighborhood during WWII. The movie starts with various drama among the people and gradually leads to them choosing to either die or attempt to resist. 1. Ladri di Biciclette - Vittorio de Sica, Italy. My favorite movie of 1948 and one of my favorite movies of all time. 2. 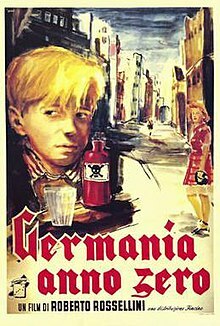 Germania Anno Zero - Roberto Rossellini, Italy. 3. La Terra Trema - Luchino Visconti, Italy. Neorealism produced some fantastic films, didn't it? Some movies mentioned above (Monsieur Vincent, Sotto il Sole di Roma) are but vague memories, and I would love to watch them again. Los Tres Huastecos. Directed by Ismael Rodríguez. Mexico. With Pedro Infante, Blanca Estela Pavón, Fernando Soto, Alejandro Ciangherotti, María Eugenia Llamas. Comedy. Pedro Infante plays triplet who were separated as babies and raised in different towns. One grew up to be a Priest, another one an Army Captain, and the third one is an Outlaw. The Army Captain has to capture the Outlaw, ad the Priest tries to mediate. Popcorn classic. Pedro Infante gives a very likable performance in one of his best comedies. María Eugenia Llamas was 4 years-old when she played "La Tucita", the Outlaw's daughter who spits, plays with snakes and tarantulas, and shoots guns. 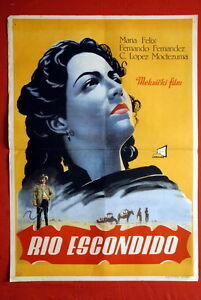 The 1948 winner of Mexico’s Ariel Best Picture Award was …. These three Swedish melodramas from 1948 almost certainly became available on dvd for what Ingmar Bergman went on to do in his later career. Port of Call is a B melodrama, not unlike those that Bunuel was churning out in Mexico for a while as a jobbing director. A sailor arriving in port comes to the rescue of a suicidal young girl. They embark on an affair which is threatened when he learns about her past. Music In Darkness has the benefit of Mai Zetterling in the cast. It is the story of a talented pianist who becomes bitter when he loses his sight. Not only that but he cannot 'see' the value in the love that a young servant and caregiver is offering him until it is too late. 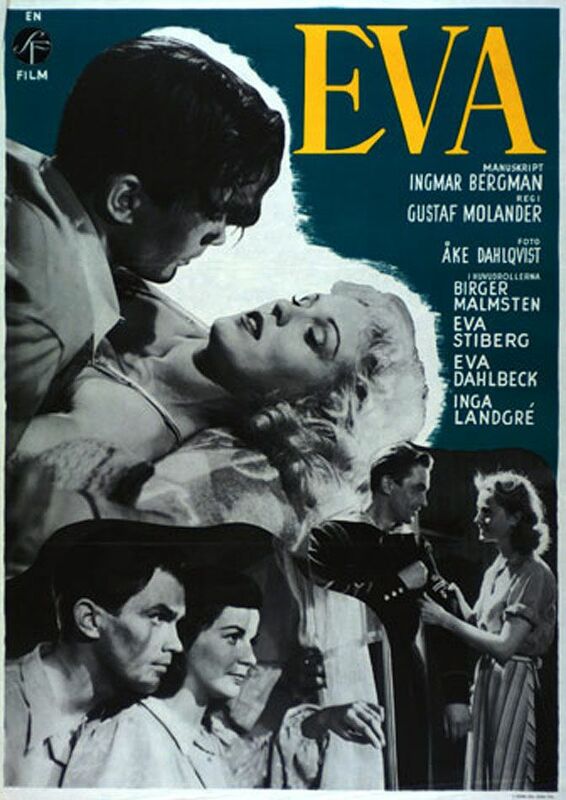 Eva was written by Bergman, based on one of his own short stories but directed by Gustaf Molander. I've just read the wikipedia and imdb synopsis' of the film and wondered "is that the film I saw?" The write-ups made it sound much more interesting than I recall. Eva Dahlbeck has a part in this one. 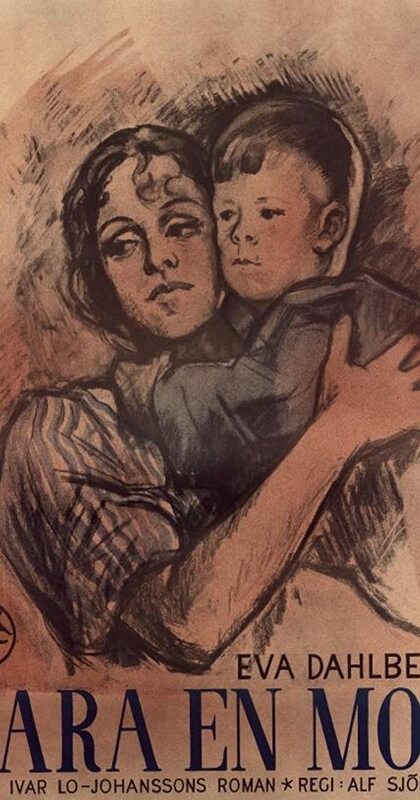 Lost Youth (1948) Pietro Germi, Italy. 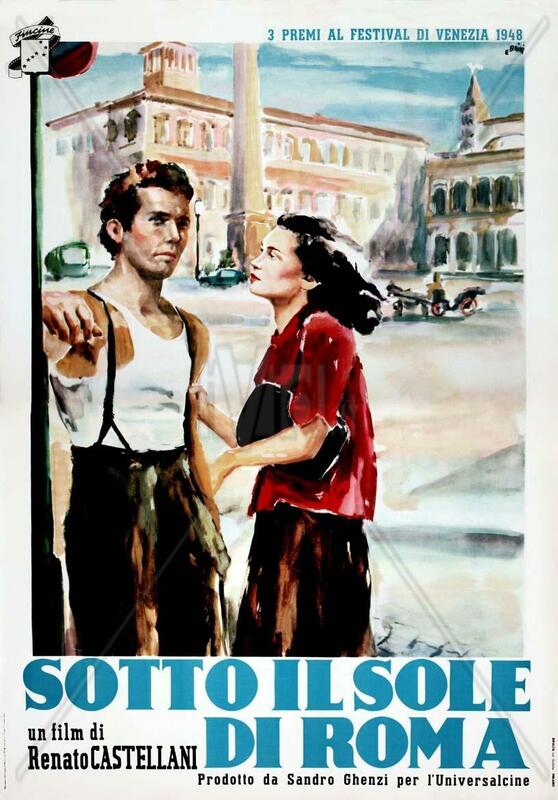 That's a young Massimo Girotti in the poster, who played Rosa's lover in Last Tango In Paris. My top FF films of 1949 of the 5 that I have seen are …. This is the Fantastic Feature Film debut of Toshiro Mifune. Mifune acted so out -of -control in this film that some fans actually thought he was deranged. Kurosawa had meant for " Drunken Angel " to be a showpiece for one of his favorite actors, Takashi Shimura, who starred as the alcoholic doctor. But Mifune took full control of the film as a flashy young gangster dying of tuberculosis. Including "Drunken Angel", Mifune and Kurosawa went on to make 16 films together. The director said in his autobiography how he felt sorry for Shimura as it became apparent that Mifune was going to be the de facto star of "Drunken Angel". In 1952, Kurosawa made it up to Shimura by featuring him in the legendary "Ikuru", which was critically acclaimed, winning the Berlin International Film Festival Special Prize of 1954 and proclaimed by Roger Ebert as Kurosawa's greatest film. Bogie-- I just watched "Such A Pretty Little Beach" last week. 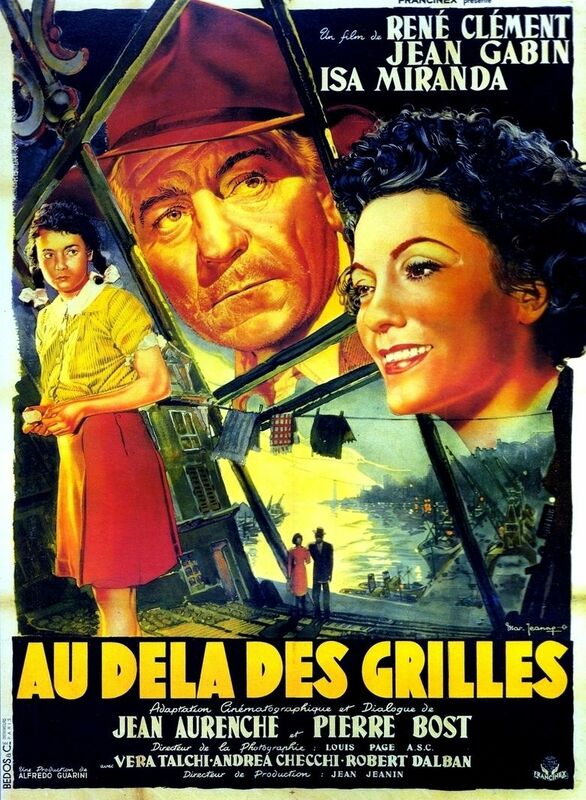 The French have never gotten over their love for Gérard Philipe. And when you see him in a performance like this one, you can understand why they still hold him in such high regard. Both men were handsome and talented young actors who came to be associated with the après-guerre culture of their respective countries. And they both contributed to the cultural healing of their war-torn nations in the subject matter of their movies and in the recommencement of national cultural entertainment. 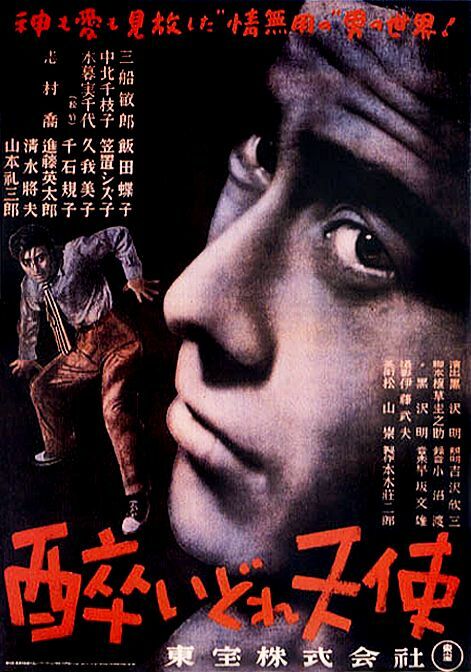 Stray Dog is probably my favorite Kurosawa film and one of my favorite films ever. The crime film becomes the perfect vehicle for expressing what the defeat in the war meant as the changes occur on a daily level. Few films have used music as effectively as this one does. The different kinds of music reflect the contrasts the new Japan must confront. The climax of Stray Dog, when the policeman and the criminal, both of them young veterans, struggle in full daylight near a suburban development where a woman in a nearby house plays classical music on the piano, is one of the sublime moments in film. I also like Le silence de la mer. A friend who's a film noir maven raved about Such a Pretty Little Beach, so I would like to see that one. TCM recently showed The Walls of Malapaga, which I liked, and would probably like very much in a fully restored print (TCM's wasn't too good). I need to keep Ozu's Early/Late/Spring/Summer movies straight in my mind. One is my favorite among the Ozu films I've seen (Late Spring), one I like a lot (Early Summer), and one I'm less fond of (Early Spring), though I really like the young woman who plays Goldfish. It seems clear that 1949, an excellent year for English-language films, was also a fine year worldwide. Since no one else listed it, I'll say a little something about The Quiet Duel. It's one of Kurosawa's lesser known films, but I thought it was still above average. It stars Toshiro Mifune as a doctor who became infected with syphilis while treating a patient during the war. He's kept his diagnosis a secret due to the social stigma attached to the disease, and he struggles with the expectations of his fiancee (Miki Sanjo) and his father (Takashi Shimura). When a new nurse (Noriko Sengoku) begins working at his clinic, Mifune may find an ally in his fight against the disease. As I said, the movie is lesser known, and it's one of the few of Kurosawa's films without a Criterion release. I saw it many years ago on a now out-of-print disc. It remains one of only two of the director's movies that I don't have a personal copy of. Mifune is very good in a role that's a near 180 degree change from his roles in the previous Drunken Angel or the subsequent Stray Dog. He displays a quiet dignity, as well as an inner turmoil, with less of his big Mifune moments that he displays in other films although there was still some of that, too. I'd really like to see the movie again.